The New Order, like its dying predecessor the old world order, of course must have a one world economy if it is truly going to be a one world, global government. Many will be shocked however when they find out that neither the economic side, nor the political side of the coming global tyranny is the reason for the establishment of a new world order. Shocking, but it isn't about power in the hands of the elite, nor is it about great wealth. Not at all. It is first and foremost about the worship of Satan. Ultimately the New World Order, of which we are witnessing its rise, just as we simultaneously witnessing the demise of the old, is about a one world religious system. As you can see, the devils schemes are happening quite quickly all around us and for those who walk in the light of Christ, there is much work to be done. -W.E. The former chief economist at the World Bank, Justin Yifu Lin, is advising the Chinese government that the time has come for a single global currency. Lin, who is also a professor at Peking University, says that the U.S. dollar “is the root cause of global financial and economic crises” and that moving to a “global super-currency” will bring much needed stability to the global financial system. And considering how recklessly the Federal Reserve has been pumping money into the global financial system and how recklessly the U.S. government has been going into debt, it is hard to argue with his logic. Why would anyone want to trust the United States to continue to run things after how badly we have abused our position? 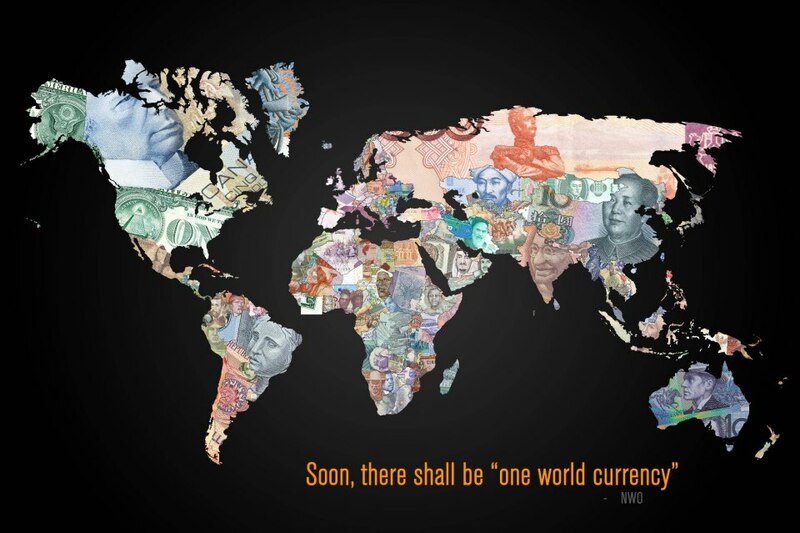 The United States has greatly benefited from having the de facto reserve currency of the planet for the past several decades, but now that era is coming to an end. In fact, the central bank of China has already announced that it will no longer be stockpiling more U.S. dollars. The rest of the world is getting tired of playing our game. Our debt is wildly out of control and we are creating money as if there was no tomorrow. As the rest of the world starts moving away from the U.S. dollar, global power is going to shift even more to the East, and that is going to have very serious consequences for ordinary Americans.